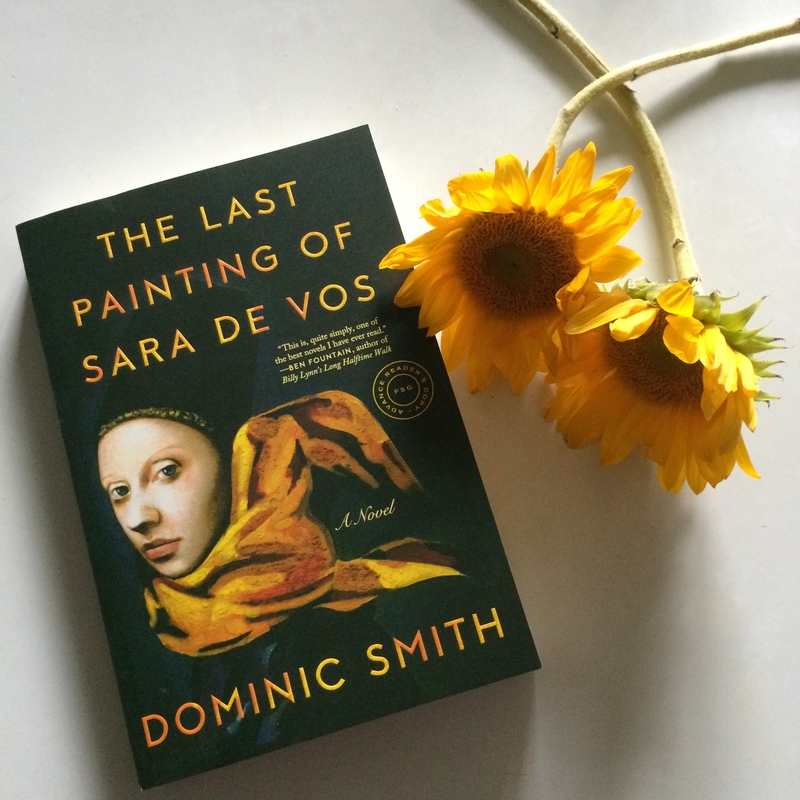 I loved Dominic Smith’s The Last Painting of Sara de Vos* so much that I tamed my instinct to race through it, and instead spent just under a week immersed in this gorgeous novel. The narrative plays out in three times. In seventeenth-century Holland, Sara de Vos is an anomaly, a woman admitted to the Guild of St. Luke–the painter’s guild, though she’s allowed to paint only still lifes, rather than the landscapes she’s drawn to. After a family tragedy, however, she begins work on a painting later called At the Edge of a Wood, an almost eerie winter landscape scene. More than two centuries later, in 1950s Manhattan, that painting hangs over the headboard of Rachel and Marty de Groot (a descendant of the painting’s original owner). Marty is a lawyer who seems to be gently tilting toward infidelity when he comes home one night to realize that the painting over his bed isn’t the one he grew up with; it’s a skilled forgery. Halfway around the world and forty years later, Australian curator and art historian Ellie Shipley is putting the finishing touches on an exhibit of paintings in her specialization—Dutch women painters of the Golden Age—and wondering how it is that she’s close to so few people. Then she receives a phone call: the painting At the Edge of a Wood is on its way to the museum. The trouble is, it’s not the only one. One painting is a forgery, and she should know: she was the forger. The Last Painting of Sara de Vos is a beautiful example of painting with words–and highly recommended. This sounds like an infinitely better approach to writing about the art world than the ridiculous Improbability of Love! I haven’t read it yet—I’m not sure whether or not it’s out here—but it does sound a bit of an odd fit for the Bailey’s prize list, doesn’t it? I think there’s always one, but honestly. Do not waste your time on it. All the pretty book pictures I’ve been seeing lately have me itching to join instagram, so I can see more of them! Would you recommend it? I love it, so yes! I have a public account just for book pictures (you can see them on the blog sidebar, I think) and a private account for pictures of H and other personal stuff. It’s so good! Such a treat to read.